Esteban Crespo (Oscar nominee for Aquel no Era Yo), premiered his debut feature Amar in the Official Selection at the Malaga Film Festival. The film is produced and distributed by Avalon and supported by Netflix, TVE, ICAA and Culturarts*, and was launched theatrically in Spain at the end of April. 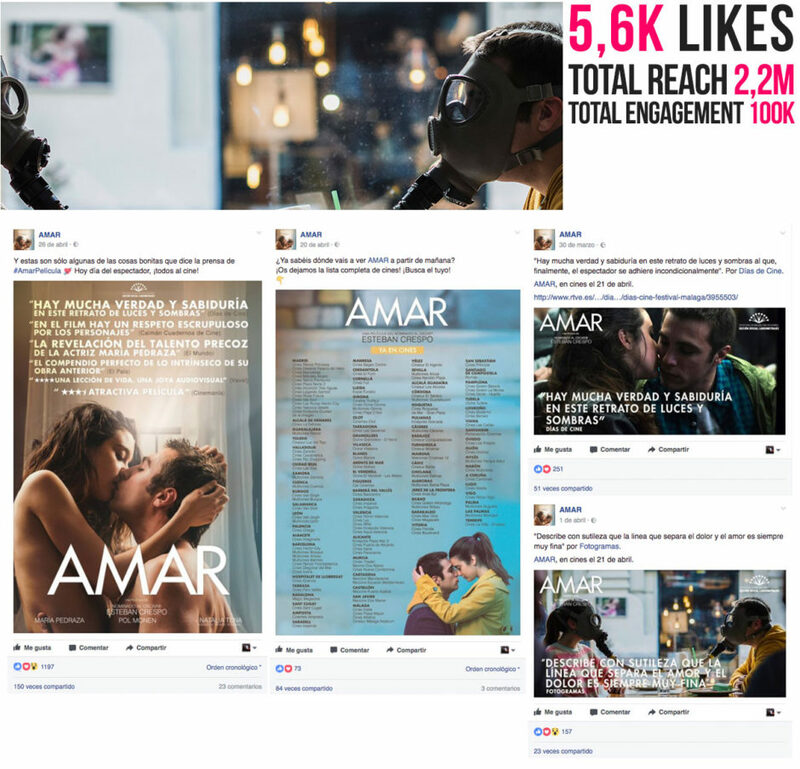 The Film Agency handled social media strategy, as well as the digital PR and alternative marketing initiatives in Spain, including a special event for targeted media and blogs, as well as the creation of ad-hoc video interviews. How well maría Pedraza and pol monen know each other?